Themed treasure baskets are an example of heuristic play. I started creating treasure baskets for Baby Gwen to stimulate her senses since she was 9-10 months old, when I seriously wondered how a tiny being like her could contain so much curiosity! At that stage she couldn’t stop fiddling with locks, electrical cables and door knobs, so I needed to channel her attention into exploring safer objects that I specially curated. So what is Heuristic play? Heuristic play is about playing with everyday objects so children get a hands-on experience to understand the world around them and learn to make their own choices. When children are involved in heuristic play, they use familiar objects in different ways. It is the process of exploring different ways to use the objects that is important in the play. Heuristic play helps to develop a multitude of skills and abilities in babies from 6-18 months. The word ‘heuristic’ originates from the word ‘eurisko’ which means to discover or reach an understanding of something. The phrase ‘heuristic play’ was coined by child psychologist Elinor Goldschmeid in the 80’s to describe the activity of young children when they explore properties of real-world objects. I’m a strict no-screen-time-kind-of mum so heuristic play is really right up my alley! Treasure baskets are free! 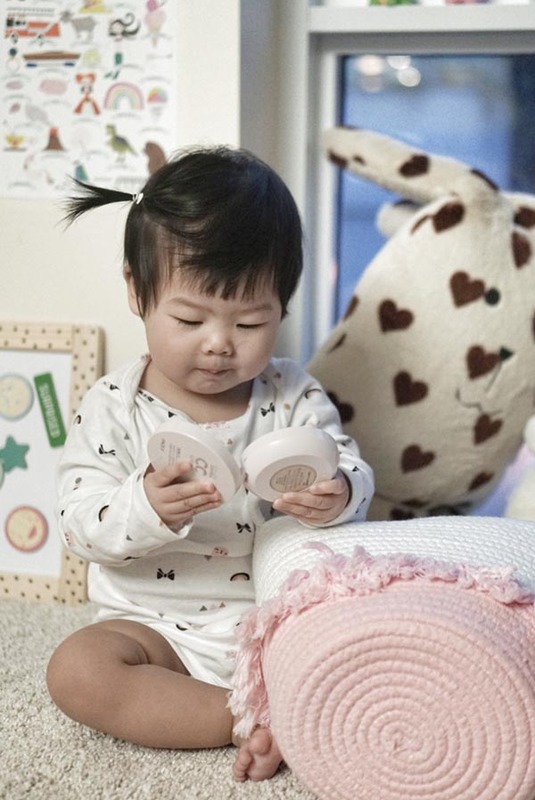 At this age babies outgrow their toys so quickly, so this is finally something you don’t have to spend money on but still creates a fun playtime. You’ll be surprised at how easy it is to put together treasure baskets — walk around the house and collect fun things that children can use to explore and experience different textures and sounds. If you use objects from nature, the objects are natural and offer an understanding of the outdoors and Mother Earth. A great exposure! Find a open-top basket that can hold 5-10 items. I chose a round one so she could access the contents from all angles and a soft crocheted material so it doesn’t hurt when she thrusts her little hands eagerly into it. In the basket, place objects from your house that are interesting yet safe to look at, feel, shake and taste. The items don’t have to serve any functionality, your baby will play and manipulate it in various ways. Avoid objects of sizes that might constitute as choking hazards. 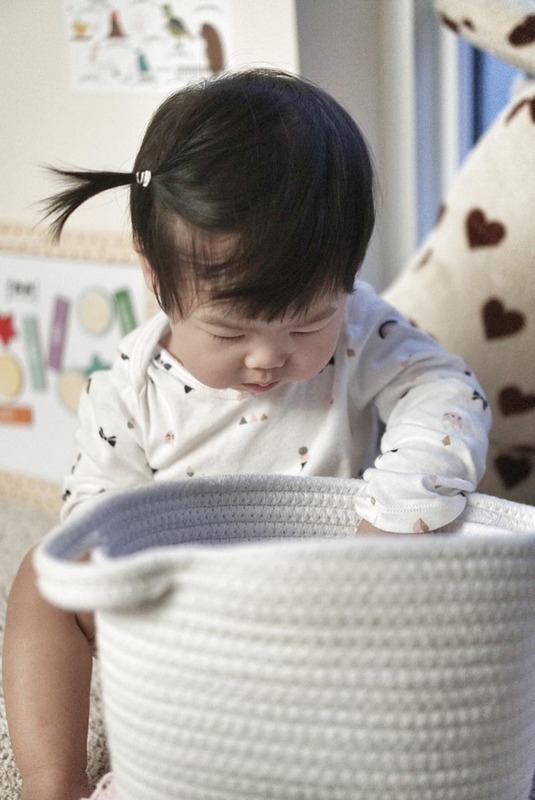 Remember not to leave baby alone with the basket because there might still be some items that are dangerous when played with without parental supervision. Change the objects in the basket regularly to keep it interesting and fresh. You can tell when baby is bored of the items when she throws things out without so much as a second glance. You can trade the basket for a box with a lid for added complexity and fun if baby’s motor skills are pretty refined! Bring out the basket just once or twice per day so it’s “novel” and different from the rest of the toys in her play area. Given how receptive baby Gwen is to the metallic treasure basket, I’m stoked to make another one! This time with a nature theme since we collect little souvenirs from Mother Earth like pinecones and leaves on our daily strolls outside. 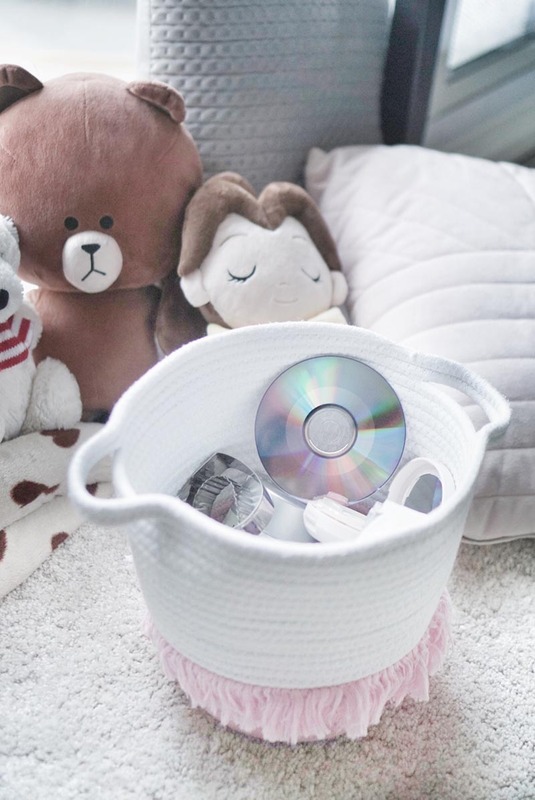 What household items would you put in your baby’s treasure baskets? Chat with and inspire us with ideas on our instagram at miraculove_sg via Instagram Direct Message! 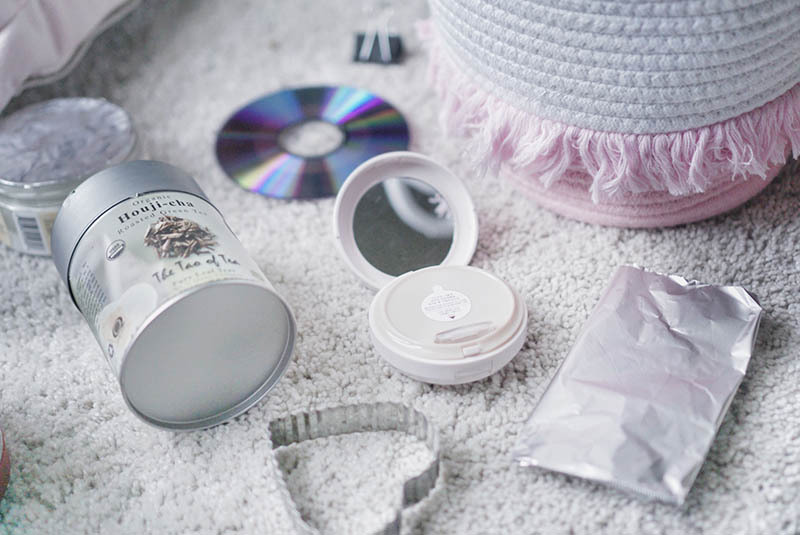 Written by Xiao Yun Chen for her blog, Miraculove! You can follow her on Facebook, Pinterest and Instagram!